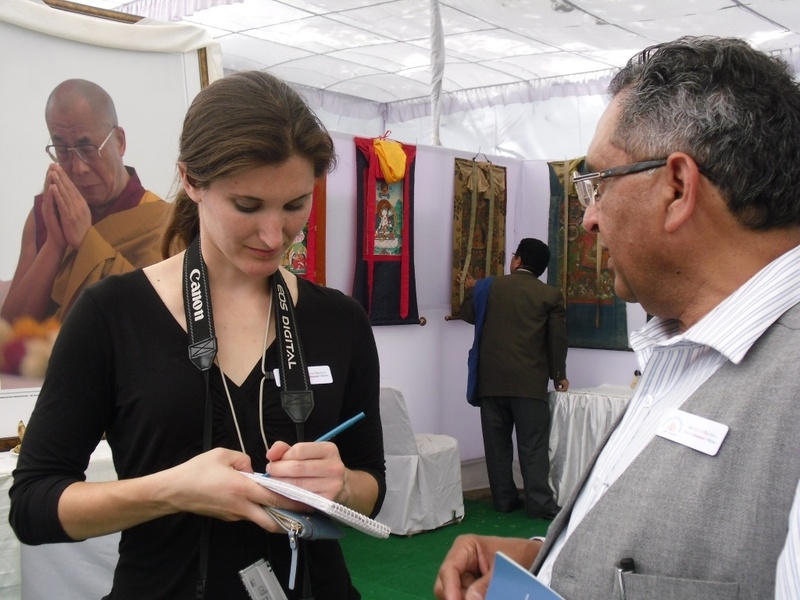 Megan reports on the Tibetan community in India. She is a writer, editor and student–of life. Journalism gives her the opportunity to explore both big questions and everyday challenges. Read more about Megan in her bio. What is Megan up to? Megan is an editor with the USC Center for Religion and Civic Culture and a freelance journalist. As a freelance journalist, she writes everything from tweets to books. Please click on all clips to see her most recent writings, and click on blog (under bio) to see her most recent career update. You also can subscribe to her email list for infrequent updates. She is based in Los Angeles. She has reported from Italy, India, Cuba Kenya, as well as across the United States. To keep up with her travels, follow her on Twitter. When is Megan available for hire? Megan continues to freelance while working for CRCC and is open to new projects at anytime. “Why” is Megan’s favorite question. She enjoys delving into complex subjects and helping others understand them better. She likes finding out what makes people tick, and she hopes her work serves as a bridge between cultures. How can I connect with Megan? You can find Megan on Twitter, Facebook and LinkedIn. Or email her here.